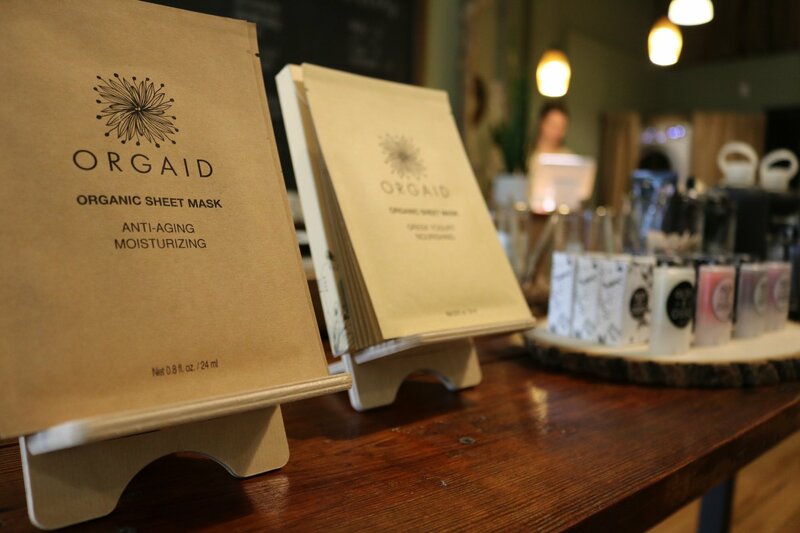 For ethical beauty products and zero waste shopping check out Wild Lavender Spa in Knoxville! Many of you know that I have stepped up my game when it comes to waste reduction. since my first post about the zero waste effort many years ago. That was one of my bigger goals for 2018 as I felt that I had been trying to do better but I still produced way more trash on a weekly basis than I wanted to. During this time I started searching locally for “zero-waste” shops or boutiques that carried products in glass and were refillable. That's how I found Wild Lavender and met the owner, Hannah. Wow! I can't say enough good things about my new favorite spa so I'm going to let Hannah fill you in on many of the things I think are most important in her own words. At my first visit I noticed that Hannah carried so many of my favorite brands in addition to the hand and body soap that I was looking for in my original search. Now, I take my refillable bottles when they are empty and replenish the soap. Visitors to my house have commented about how luxurious the soap is! The next visit I took our beauty advisor, Macey, for an Organic Botnia facial. As a fellow cosmetologist, Macey was impressed with Wild Lavender and described it as “a very relaxing environment with amazing facials and a boutique with high quality products.” I was impressed that Hannah specialized each of our facials based on our individual needs, which I appreciated considering I have Rosacea. My favorite service is to have my eyelashes and eyebrows tinted. I went to Wild Lavender to have them done for the first time in my life and I have to say, as a light haired woman, it's life changing! So this is a great place to jump into our interview with Hannah. Rebecca: Can you tell me about the products you use for tinting eyebrows and eyelashes? Hannah: The products are safe for use on brows and lashes, unlike certain hair dyes from the hair salon. The ingredients are plant-derived chemicals that cause a color reaction when mixed with a fatty alcohol solution made from coconut. Most clients will do deep black or blue-black on lashes for a bold look. For brows, we customize a color that looks natural with your hair color. It's a great service for anyone with light colored hair. Tinting only attaches to hair, not skin. So if a bolder, fuller look is what you're going for, it may not be for you. Tinting only colors the hair that's already there. The dye lasts about 4 weeks on lashes and up to 6 weeks on brows. Rebecca: Tell me about your spa, how would you describe it to someone who just walked in after seeing your sign? 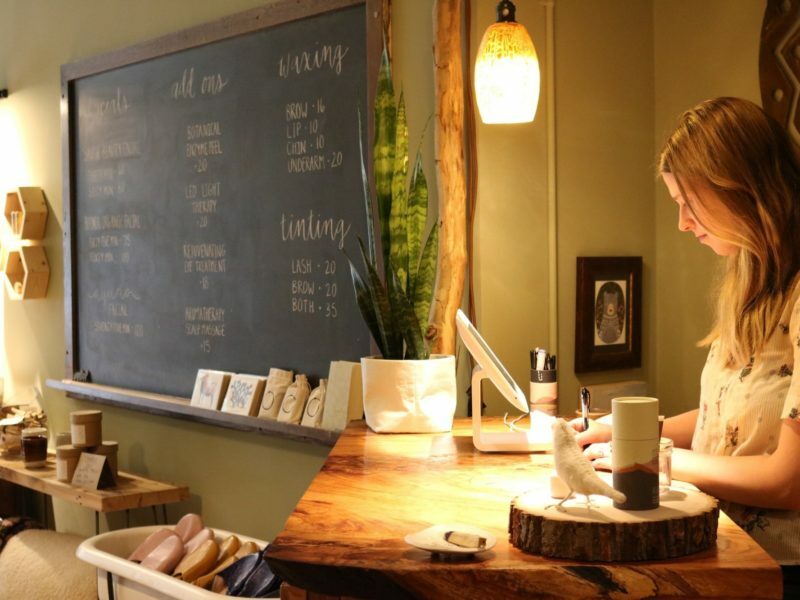 Hannah: Wild Lavender is a one room facial studio that boasts an apothecary stocked with a curated selection of natural skincare, makeup, and wellness essentials. The sign usually draws people in by the word “Lavender” and people often assume we only sell lavender products so if they say they love lavender and that’s what brought them in, I usually talk about how many of our products include that superpower botanical, but we have so much more than just lavender in the shop! Rebecca: What makes your spa unique? 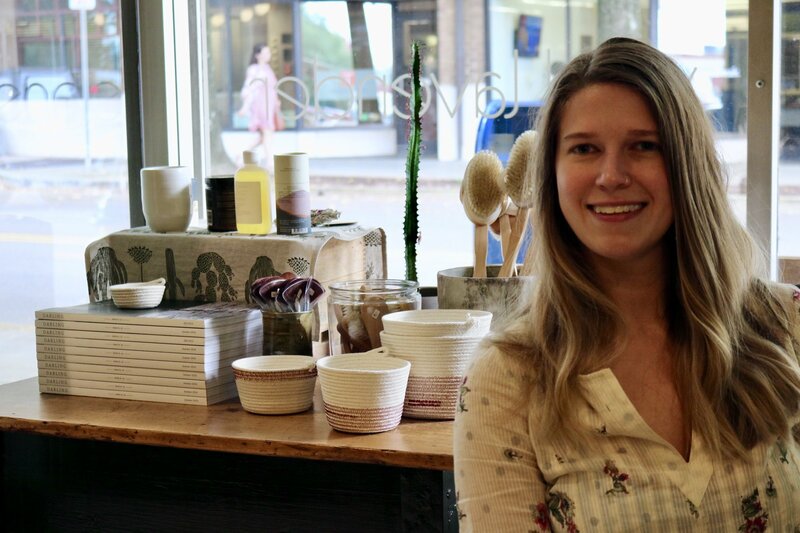 Hannah: It’s unique to Knoxville because there are not many spas or beauty shops where you can trust the quality, efficacy, and natural state of the ingredients. 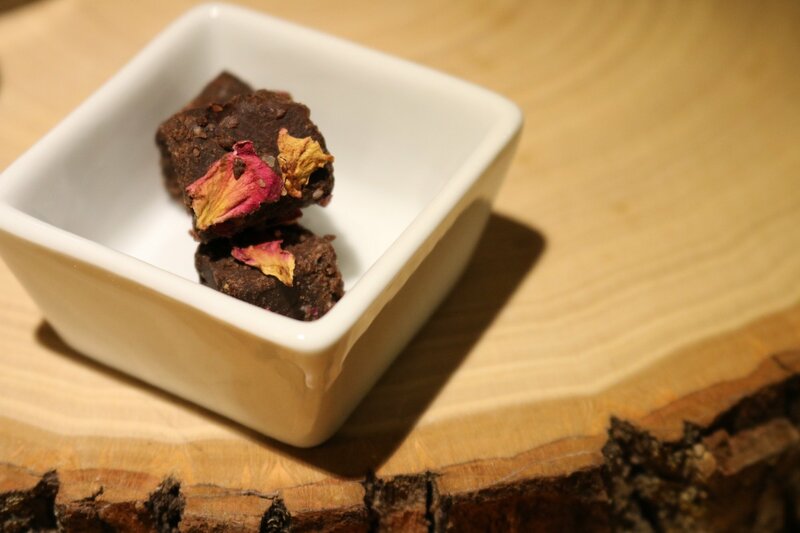 Our service menu is edited to include some facial waxing (using a natural wax derived from soy), lash and brow tinting (made from vegetable root extracts), and our dreamy facials that use a wide range of organic botanical compounds and small-batch skincare made by women. 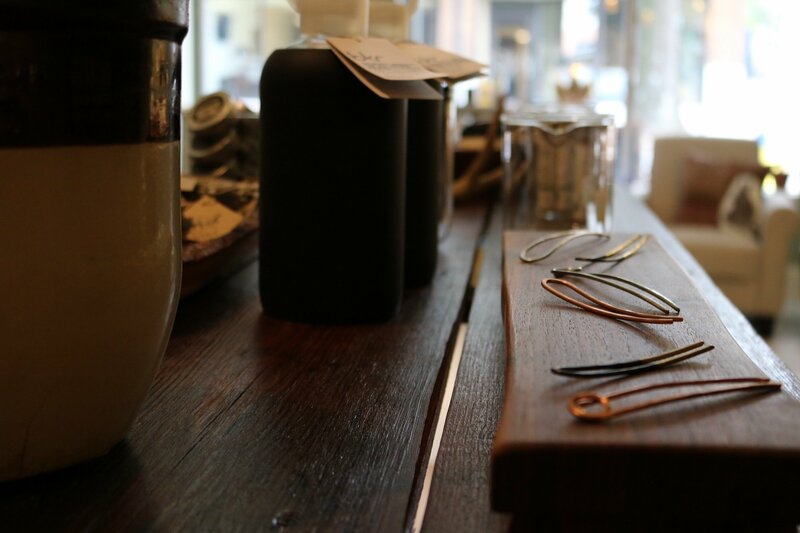 Our philosophy from the start has been to provide an environment that encourages confidence in natural beauty. To us, that means taking care of your skin so that you feel completely comfortable with who you are, without the NEED to wear makeup on a daily basis. We have some amazing natural makeup brands in the shop, and I think makeup is a fun, fresh way to feel beautiful. But if you don’t love your skin, it’s kind of a moot point in my opinion. Rebecca: Tell me about your decision to carry some zero waste products and what your overall goal is with reducing waste in mind. Hannah: I love this question! Wild Lavender started out just carrying skincare and some clean makeup brands. Eventually, I added BKR glass water bottles to the mix and they were a huge hit with my clients. I’m always talking about hydration with my clients, and having a chic bottle for them to pick up in the shop just worked. I think wellness and living a healthy lifestyle are some of the largest skin impactors. My approach to expanding our lifestyle and wellness section at WL is from a standpoint of using less hormone-disrupting, single use plastic items for your health and the environments health. Also, if the tools you need to produce less waste are beautiful (like a Bkr bottle, JOCO Cup, or even a mason jar), I think you’ll be more inclined to use them, and when you use them, you may inspire someone else to follow in your footsteps. It starts small! Right now, we have Fillaree soap and body wash in a refill station. You bring in your own glass jar or bottle to fill up, and we charge $0.62 an ounce. The soap is very moisturizing and the scents are lovely! We also have JOCO Cups for to-go coffees. They’re glass with a silicone sleeve. They wash easily and there’s no gasket to get gunky over time. A lot of the makeup products we carry are plastic-free. RMS Beauty is one of our favorites. 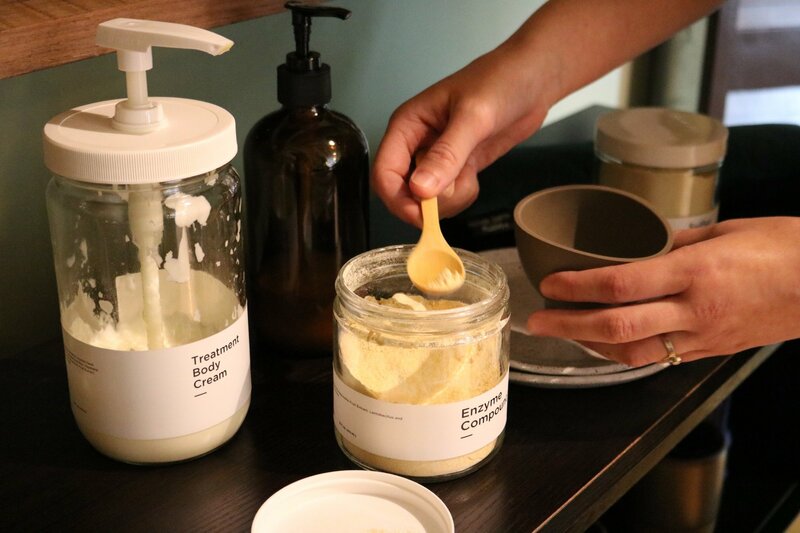 The products come in frosted glass pots with metal lids (all recyclable or reusable when finished). Elate Cosmetics is probably the most sustainable beauty brand we carry. They’re Canadian and they use high quality pigments in their beautiful products. We sell their bamboo compacts and palettes so you can create your own perfect palette with their pressed powders for face, cheeks, and eyes. It also makes travel easy to have all your fave items in one cute palette. The makeup tins come packaged in seed paper that’s meant to be planted after you unpack your product. Some grow beautiful wildflowers and some grow herbs. Elate is a super eco-conscious brand and we are so happy to partner with them. Routine Cream deodorants are another customer favorite! These deo's are cream based and come in a glass jar that’s really easy to repurpose after you’re finished. We’re also planning on adding a refill option for a couple of their scents! Super excited about that! As a whole, we look for items packaged in glass or metal. Our world is not plastic free, so you’ll see some plastic in the shop also. Most of the brands we partner with share our mindset about this so they’re striving to use less wasteful packaging. Rebecca: How do you choose your products; what's your standards for your spa? Hannah: Another awesome question that we get a lot at Wild Lavender! I personally try 99% of items before bringing them into Wild Lavender. I have sensitive skin, and as I’ve been using exclusively toxin-free products for years I can be VERY reactive to certain not-so-natural products. I’ve tried a few brands that I thought would be a good fit and my body has guided me against them. I’m very grateful for that! There’s a lot of “greenwashing” out there, where brands pretend to be natural and healthy for you but simply aren’t. I do research and take a look at the ingredients. Then I try a sample to make sure it performs well! In addition to only carrying products that are completely natural and toxin-free (and in some cases, 100% organic) we are a cruelty free shop. None of the products we carry are tested on animals, and I’m super proud of that fact. Most of the brands we partner with are owned and run by women. Savor Beauty, one of our mainstay skincare lines, participates in a program that gives work to women re-entering the workforce after a time where they were unable to work. It feels like a comfortable community to be a part of when I can look around and see most of the brands in my shop are made by women I’ve gotten to know. It’s a powerful sisterhood! When planning out future orders, I take into consideration what my customers are looking for. We’ve had requests for more bath soaks and scrubs, and more are on the way. We welcome all feedback and input, it helps us grow! We actually just received the award from Best of Knoxville for Best Spa 2018 and it’s such an honor to have received that award. I can’t stop thinking about how monumental it is that a small, three year old, woman owned, NATURAL spa can win an award like this. I’m eternally grateful for our community’s support! Rebecca: Anything else you think our readers should know about or that you'd like us to share? Hannah: I think it’s important to know that all of our facial services are completely customized for your unique skin. That’s why we don’t have a specific “anti-aging facial” or “acne facial”. Some skin types have both of those concerns, and our approach allows us to mix up fresh, plant-powered masks to address those concerns. Try a Botnia Organic Facial – it’s my absolute favorite right now! 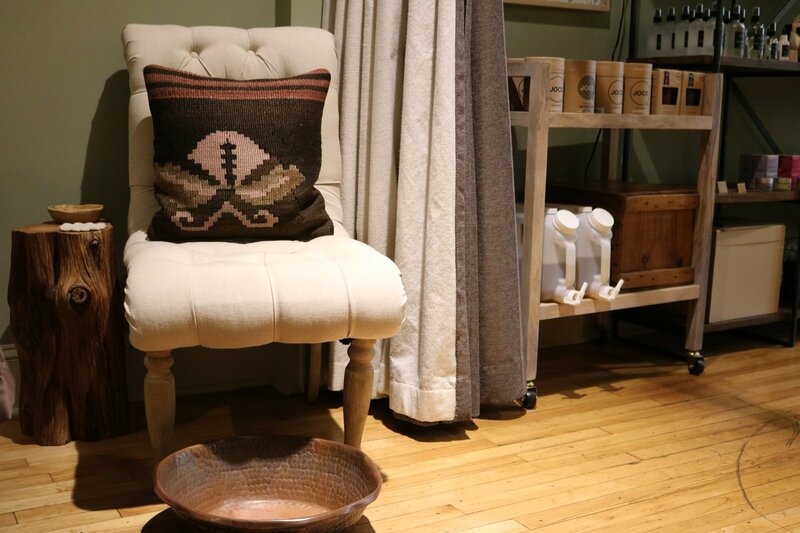 Take Note: Wild Lavender is an appointment only facial studio in downtown Knoxville! NOTE: All “add on” services must be booked with a facial! 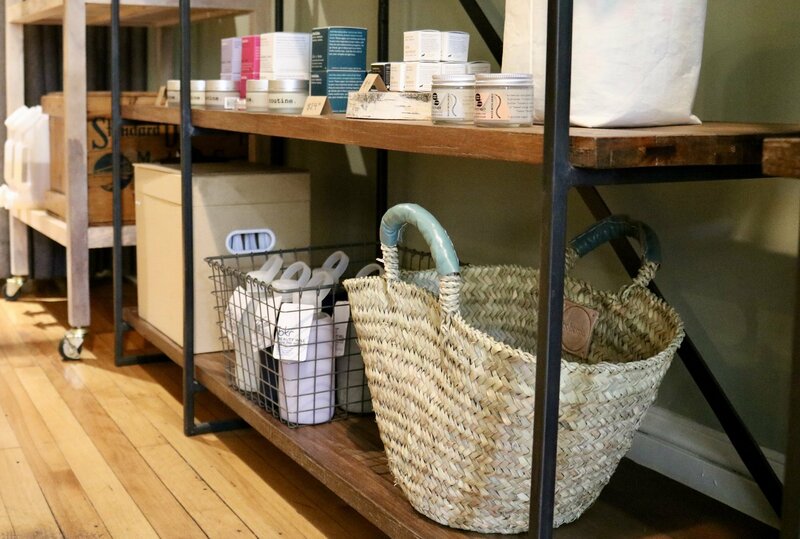 We have special hours dedicated to shopping, so no appointments can be made on Tuesday 1-4pm and Saturday 1-3pm to give people a chance to pick up their favorite skincare treats. ** Please message or email Wild Lavender to request an after hours appointment and we will try to accommodate you!